Every day is a new day, this fact alone does not make it special. What makes a day special is when something great happens. Something that worth mentioning to your mates, something to cherish for the rest of your life. Today is such a day my friend when SP Page Builder comes with an aesthetic new UI and you’ll share the story of today’s joyful experience with your fellow developers for a long time. Personally, I’m super excited about today’s release. It brings so many rich features that I might even miss out some. This update focuses on providing you with a simplified yet very handy frontend editor that brings out almost all the major functionalities from the backend to frontend (by the way these functionalities are also present in the backend editor). It’s impossible to put into words how convenient the frontend editing has become, you can only experience the feeling once you actually use the tool. Let's start exploring SP Page Builder 3.3 with a video. The frontend editor has got a brand new design. The new UI is sleek, elegant and decorated in a more simplified manner. It has been re-engineered to introduce a better UX. Most of the major functionalities of the backend are now present on the frontend as well. This design concept placed all the SP Page Builder functionalities in a very organized way to offer a streamlined web development experience with a minimal effort. Don’t just take my word for it, allow me to show you a quick glimpse. The idea to introduce layout packs is pretty simple. You can think of it as a slight alternative to a template. Basically, a layout pack will provide you with the pages a template should have. A pack (or bundle as we are calling it) consists of pages like Home, Team, Contact, About and more depending on the purpose that the layout bundle serves. You can use different pages from different layout bundles as well. For instance, you are going to build a wedding website, you can import the pages related to it from the respective layout pack, but you like the contact page of another business pack. In that case, you can easily import the page from that business pack to your current website. That’s the beauty of this new layout packs. Currently, SP Page Builder offers 40 layout bundles with 60+ layouts inside. You can access them from the left sidebar of the frontend editor. To find your preferred one use the search box or sorting. The big Plus sign on the left sidebar will let you create a new page right from the page builder’s frontend editor. After creating the new page, click the “Add New Row” button to start using addons, “Import” to use a previously exported page or “Page Templates” to get a pre-designed layout. The “Pages” section of the left sidebar shows a list of all the pages of your website. You can preview, edit or delete a particular one using their respective icons. To find your desired page, use the search box or sort them by their categories. An important tip that may come in handy at times, you can use the “Empty Page” option to clear out everything from an entire page with just a simple click. This feature is found under the “Tools” section. The v3.3 update has made it possible to link a page to any menu from the frontend. A new page which has not been assigned to a menu or even an existing one which has already been assigned to a menu, can be linked as a new menu item using the “Add to Menu” function, found under the “Tools” section. SEO plays a significant role to attract traffic to any website. Search engines use the meta description to summarize what’s on a webpage and shows it to attract the visitors. Keywords and open graph settings are also the key players here. Keeping that in mind, we have brought these important SEO settings on the frontend editor under Tools > Page Settings > SEO. As for the other page settings: the Basic section will let you change a page title, page category, status, and access level. And the Page CSS will let you use custom CSS in that particular page. The price List addon lets you create and present price lists in a stylish, informative, and an organized way that will keep you one step ahead of the competition. The addon has multiple applications where it can be used but it will especially help to showcase the menu items of a restaurant. The “Price and Line” section offers some essential settings like showing discounts, lines between item names and prices with different styles, and the typography control. The “Image/Number Options” offers some important settings as well, including the “Tag” option which can be used to display or highlight special items like vegans and the “Numbers” can be used to display the menu order. We have an addon to display images on your site using SP Page Builder. We have another addon to show text content along with images. But do we have any addon to apply aesthetic effects to an image? No? Wrong. Now we do. Using the new Image Overlay addon, you can apply 6 different image animations, 9 different text positions and an unlimited number of color overlays on the images on your site. As you already know, using SP Page Builder it is possible to create a Joomla article, not just that, you can use all the addons and other functionalities of SP Page Builder inside any Joomla article. Now what's new in this update is, if you have previously created any article using SP Page Builder, you don’t have to go back to the backend of your website, you can now edit it right from the frontend. Note: In order to use this functionality, you need to reinstall Joomla Article Integration. To do so, navigate to 'Integrations' from SP Page Builder (backend) left menu bar, find "Joomla Article" and click 'Uninstall'. Install it again and then click "Enable". A step by step guideline can be found in this article. Along with the amazing new interface that SP Page Builder is offering in this update, it has also fixed few known bugs and brought several improvements. We have introduced a new API to the Flickr Gallery addon so that you can display an unlimited number of images with Flickr Gallery and fixed the image width issue. The column option editing with flexible padding issue including drag and drop is now fixed as well. Among other fixes, Greek language encoding issue is a remarkable one. It has taken a significant amount of time and effort to pull it off but now we are happy to say that there’s no more issue with Greek language entity in TinyMCE editor. N.B. It is strongly advised to take a full website backup before updating SP Page Builder. On Joomla! Day Poland 2018 (Kraków) there will be workshops where I will teach how to use SP Page Builder. Zapraszamy. The video explains that it's now possible to edit Joomla articles that have been created with use of the Page Builder Joomla Articles integration plugin. The video shows an article with a "Edit with SP Page Builder" link. On my site I cannot find this edit link. Should some options be enabled in order to show this link? On an unrelated topic. What voice generator did you use for that YouTube video? Can you share a link? YOU... ARE... DOING... A... GREAT... JOB!!! Thanks. I hope you will renew your SPPB membership. Thanks, yes we thought about it. So there is chance to implement it in near future. I think this is the best page builder, i've used page builders under wordpress (divi, bakery, elementor, muffin, Fusion builder) and none even comes close to the heels of sp pag builder, interface, usability, intuitivity. It is painful that it is not available for wordpress. For me is the best joomla builder ever. Instead of reading just check videos on YouTUBE, to see some features of WP Page Builder. There are also a lots of reviews with screenshots on many blogs. About WP, almost all features you can get using plugins, not from core. It means that they are not checked by WP team, but tested on users. Given JS Pagebuilder works on both WP and Joomla, what are your thoughts re WP vs Joomla platforms for a new web agency. It appears the market has moved with WP, while WP components appear significantly cheaper. What say you? I make WP and Joomla sites. Joomla because it's the best cms . AMAZING! It was a very good idea to upgrade my Page Builder to Developer License! My best wishes from Germany! Take care! Thank you. I think it was a good investment for You. I'm so glad I chose Joomshaper for my client sites. Thanks a lot, we are glad that you can earn money using Joomla and our products. great as usual, I do not regret much to avir renewed my subscription. you mean grayscale filter ? which converts the image to grayscale. Yes, but it would be interesting if it is directly implanted in the addon. Wow , fantastic job compliments!Now next big think, is to be able to edit and personalize the style of the menu! In theory, this is an interesting vision. For sure it request extra template deeply integrated with SPPB. Good idea for J4.x. Great Job. There was a rumour that we will see column resize option in front end, just like the row padding resize. Is this feature available in 3.3? Impressive. It is becoming quite a polished tool. You're saying it's not a polished tool? That hurt ? Jokes apart, we ask you to put your trust in JoomShaper. You'll not regrate it. Thanks a lot. It's hard work, like in Smithy, where hot metal is turned into a useful tool. It takes a lot of hammer strokes to get the perfect shape. Just looked at the Price List addon and it looks as if you can only have one line per addon. so you need a addon for every price... This can't be right or am I missing something? I suppose it was the title of the addon that fooled me "Price List", I assumed Price list meant a "list of prices". Not a problem. I do like the way you can tailor the list though. @Paul If there are 60+ list that means you need 60+ click, I mean duplicate that addon by clicking it is better than writing 60+ line css. I want addon image compare. It is very important for me. Can you add it? You mean image before and after ? If yes, it was planned. If you're in hurry, you have to use module, I have seen at least 3 of them on JED. One question for the future: is it possible to add "diable the animation for mobile or tablet view". It would save lots of time, as for now I create different rows to accomplish this. I will add to our dashboard. One more thing I am missing. In the current version it is possible to copy and paste a row. What about copying and pasting only a column? This would also save lots of time. Great release. Especially front end editing of Joomla articles is great. thanks. A bit of topic but still waiting for: Progressive Web App function built into Helix Ultimate. Any chance? So far there is no really useful component for Joomla for PWA. In WordPress there are some. But there are already, also online components creators. I used them. Opss, right. I will ask for fix. Adding pages to menu on frontend only works with the parent menus, not with the children items..
That's exactly the same for my website. How to make in line odd quantity of columns evenly? We do not support "," only "+"
beside this is layout based on 12 columns. Please read more about it on bootstrap 3 manual. The empty Add-on the image in the admin panel is, and on the website in the editor isn't present. How to delete him in a front part of the website? Brandon, sorry since when comments are for support? Please use forum and SP Page Builder 3 category. Thanks guys !! Really great work ! More features and fixes soon. please add feature flexible column padding resize for next update. + 1 Wp Page Builder also has that feature. 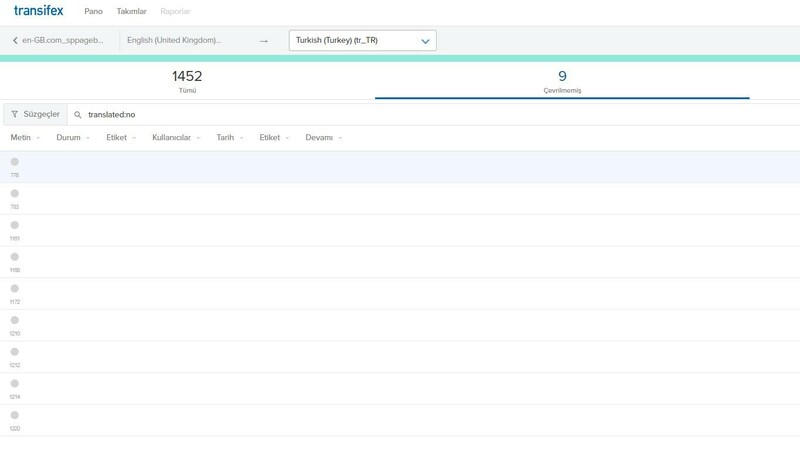 Hello, Turkish translation on Transifex has been completed. Need to be given approval, also some areas are missing. Thanks, but we have to wait for 2nd community translator to verify your hard work. 9 fields in the screen are empty, it appears to be not translated. I just tell you, today I tried the free version of the latest quix and I feel the experience given after using it far exceeds the experience when I use the latest free version of the sp page builder. the latest quix makes it easy to organize columns flexibly, custom svg icon with this you can use your own icon, the link page to menu allows you to add pages to the menu, and the visual frontend editor that doesn't have a free version of the page builder. I hope that joomshaper can provide better experience and features for the free version of the sp page builder or the pro or paid version. It is very kind of you to present the facts in such a nice manner. This update is all about the Pro version of SP Page Builder, we are working to enrich the Free version as well. We ask for your patience and request you to keep faith in JoomShaper. In an add-on the accordion isn't present an opportunity to duplicate the enclosed add-ons. In a case with the price list when it is necessary to fill big prices, each price should be adjusted anew. Add a feature for copying of add-ons. ok, I think I understand purpose. We can consider it. Indeed, sorry & thanks for good eye. We will fix it in upcoming updates. Thank you very much for the trouble you were making really great updates. In upcoming week SPPB 3.3.2 should get big update for slider addon. Can PB 3.3 user-created pages be saved as a PB Template which will add the page (an image in the Template list with its code stored therein) so you can use it like one of the existing PB Template pages? I know you have a lot of page templates in there already, but I would like the option of saving my own PB Templates rather than just importing the code from a previous page, so is this possible in PB 3.3? We can consider this idea in upcoming updates. Right now in SPPB 3.3.1 you can Export-Import page, save selected Rows & addons and use them later. Thanks Paul, in considering this update, I would think that being able to save pages as well as Rows and Add-ons as Templates, would be the full functionality necessary to make the Templates section fully productive. It also might be quicker and easier if in the first instance for JS to get the user to do a screenshot and upload it as a thumbnail for the Templates section, rather than trying to have PB automate the capture of a thumbnail image by sampling the page itself. I would have thought that given you can save, export and import whole PB pages, rows and add-ons now, that this upgrade is not particularly difficult to implement, so is there any chance of doing it in the next few weeks? Also, does PB 3.3 have the ability for you to restrict access rights to the PB back-end, to allow different editing rights for different users (eg. to stop an editor of a PB page from deleting the page entirely or any of the rows/columns, while still being able to make changes to text and images (by way of an example) within a PB page)? In 3.3 not yet, but it's written down in plans for future updates, to create a Lite / Limited edition for users with rights below Super Users. Of course, the access levels should be drawn from Joomla, rather than be just a generic Lite/Limited edition type arrangement, as I don't have any generic lite/limited addition users. However, I do have different people doing different tasks on a website, which I really need to control individually with granular access, not in a one-size-fits-all approach which won't really attend to the problem of isolating access ONLY to the pages, sections and add-ons that a admin sub-user may maintain. I believe this improvement would make PB a killer app if it isn't already. Just so I know for future planning, is this update one that could be done by the new year, the middle of next year, or is it a year away? PS, I won't hold you to your answer, I'm just looking for an indication of the complexity/likelihood of JS developing this function, thanks in advance. I trust this assists, thanks Paul. I've followed the instructions given to enable SP Page builder to edit articles create with PB in the frontend by uninstalling the article integration plugin then re-installing it. I've also deleted all template overrides but I still can't see the link. I'm using Warp Framework. Could it be that this feature only works with Helix Ultimate? Hi Joel_m, it looks like you have a technical issue, I would recommend you to hit the support forum, our support engineers would definitely come up with a solution for you. Definitivamente, es el mejor constructor para Joomla, se consagraron. Muchas gracias, Rodenger Garibay Ramírez por confiar en nosotros. Nos comprometemos a proporcionarle los mejores productos y servicios para Joomla. This version it is not working properly. It does not save the changes I am doing so it is quite frustrating. Hi Luis, are you sure it's the problem with this version? Cause, we haven't yet received anything about this bug. Did you try posting it on the support forum? I'm sure the problem is not with the version. Would highly recommend you to post the issue here.